As a website design agency, site speed is critical to our projects. So we took the new tool for a trial run and here’s what we found. The test itself takes upwards of a minute to complete, but they did their best to keep you engaged – the first few times anyway – with well-designed animations and a large progress bar. In reality, yes, it does take almost a minute, and in some cases we saw longer times, but that could be due to early popularity and site load. All tests are performed on a 3G connection, with Google stating that “70% of cellular network connections globally will occur at 3G or slower speeds through 2020.1″ They cite their own study for this, which I’m happy to accept – but take that into consideration when you evaluating your grade. If your company’s site is full of video and animation, it will certainly suffer. The final results, while basic, are interesting and merit consideration. However, like Google’s PageSpeed Insight tool, there are some development best practices that cannot be improved without other considerations (Renderblocking JS frequently being the biggest offender.) Keep that in mind before you ask your team to turn your “Good” score into a “Great” one. As far as page load speed, image size always seems to be the largest offender – something that can easily be improved by your in-house design team. In some cases, optimizing images can get you back much of the speed you are losing. Turn those unnecessary PNGs into 60% Quality JPGs and you’ll see a tremendous difference. That movie loading in your hero…is it really bringing value to the site or just adding weight? Potential customer loss is the interesting new metric Google is offering. It supposedly measures the percent of users that will leave your page on their mobile device before it finishes loading. It’s a great metric to share internally with your CMO or the “powers that be” to demonstrate the importance of mobile-friendly design and the importance of clean, responsive code. This is especially true if you know your site is an offender. The industry comparison results compare your website against sites with the fastest 30% loading times. You can change your industry, but given the lack of granularity, you won’t see much difference. In fact, changing the industry in the dropdown had no effect for us on several tests we ran. At the end, Google does offer a detailed report that requires an email address and opt-in to receiving promotions for Google products and services. So you take the good with the bad. We opted not to, but would like to hear if you did. Tools like Test My Site are helpful to a point. On their own, the results of these tests more often lead to the blame game – Sales pointing fingers at Marketing, Marketing pointing at IT and IT shaking their heads at the validity of the test – than improvements. We recommend using several site speed test tools (Pingdom is a favorite of ours) to get a full picture of your website. Taken together – you’ll get the best sense of how your site is performing. And remember, often the most basic changes can have the biggest impact. 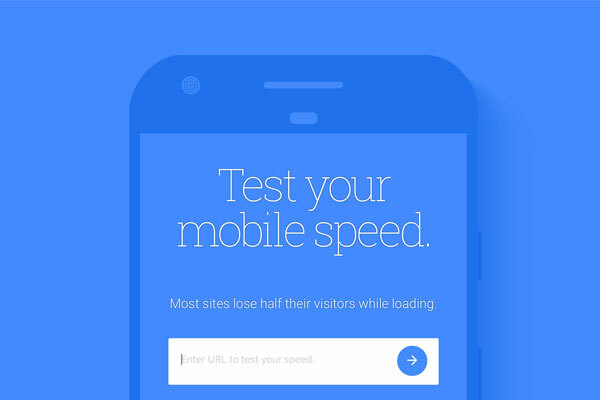 If you have questions on your test results or would like to learn how to improve your site’s mobile performance – drop us a note. Want to try it on your site? Here’s the link to Google’s new TestMySite tool. Enjoy! Peaktwo is a marketing and web solutions agency. We’ve been in business over 10 years – building websites, applications and driving marketing strategy for companies of all sizes and industries. The company was launched just outside of Washington, DC in the Northern Virginia tech corridor. In 2010, we moved our HQ to Charlotte. As our business grew, so did our need for people and creative space that matched our energy. This led us to our current offices on Main St. in Fort Mill, SC.